On April 29, 2014, the new EDGUY album SPACE POLICE – Defenders Of The Crown will be released. The press has already praised the album as one of the best, most traditional and heaviest albums the band has ever recorded, getting top scores in all the relevant metal magazines. ‘Love Tyger’ is available as download single in all digital online music stores such as Amazon, iTunes etc. NOW! 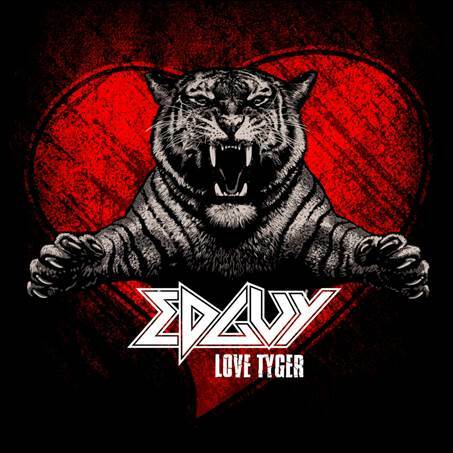 EDGUY will perform ‘Love Tyger’ during the walk-in of world champion Arthur Abraham who’s gonna be having a boxing fight with Nikola Sjekloca at the Velodrom in Berlin on May 3rd. Match and performance will be broadcast live on German television, on the national channel ARD. This entry was posted in Artist, Bassists, Classic Metal, Classic Rock, Drummer, Glam, Guitarists, Heavy metal, Internet Radio, Metal, Music, Rock, Rock N' Roll, RockStar, Surrealist, Tattoos, Vocalist, Wornstar Clothing and tagged 80's, Bleach Bang, Bleach Bangs, Bleach Bangs Radio, Charlie Owens, Classic Rock, Dirk Sauer, Edguy, Felix Bohnke, Glam, Glam Rock, Hard Rock, Heavy Metal, Jens Ludwig, Metal, Music, Nuclear Blast Records, Randy Norris, Rock, Rock N' Roll, Rock Star, RockStar, the Hellion, the Hellion Rocks, Tobias Exxel, Tobias Sammet. Bookmark the permalink.